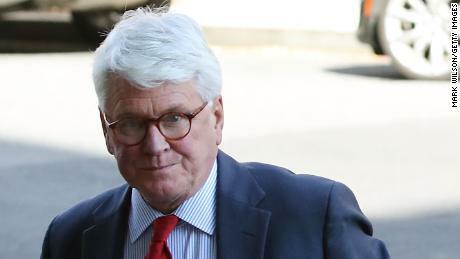 Washington (CNN)Former Obama White House Counsel Greg Craig’s first appearance before a federal judge ended Monday without a set trial date. Craig, who pleaded not guilty last week after he was indicted for allegedly making false statements to US authorities about his work for Ukraine, appeared before US District Judge Amy Berman Jackson, who discussed several possible trial start dates in August, but did not officially set one. Authorities allege that Craig worked alongside Paul Manafort, President Donald Trump’s former campaign chairman, while he conducted work for Ukraine. The case against Craig grew out of Robert Mueller’s special counsel probe and specifically the investigation into Manafort.Prosecutors and the judge both said they thought the trial would last about two weeks, with prosecutors presenting five or six days’ worth of evidence to a jury. The prosecutors will be turning the evidence over that the defense doesn’t have yet in the next few weeks. Greg Craig pleads not guilty, released on personal recognizanceCraig’s defense counsel is going to try to get the case and parts of the indictment tossed before then. They believe a key part of the indictment that alleges Craig gave a false statement by omitting information in an interview with authorities has already been overturned by the appeals court.Read MoreCraig will be able to travel in the US, Jackson said, but will need the court’s permission to travel out of the country. Right now, he’s planning to go to Canada in September, which may be after the trial ends.”We’d like this case resolved as soon as possible,” Craig’s attorney Bill Taylor said.Craig, 74, is accused of lying to the Justice Department about contracting with Ukrainians for a $4 million “independent” report about the then-Ukrainian president’s political opponent, then discussing the report’s release with journalists.Prosecutors allege that Manafort orchestrated the public relations campaign for Ukraine’s then-in-power political party and that Craig misled his law firm and the Justice Department about the extend of the work.Craig, who no longer worked for the Obama administration when he was has conducting the work, has said that a Democratic operative — and not Manafort — brought him into the project.